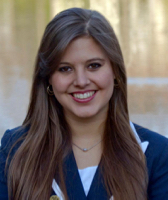 Michelle Aguilar joined Preston Hollow in 2013 as Reading Specialist. Her previous experience includes teaching eight and a half years in both public and private schools as a classroom teacher in grades ranging from PreK to 4th grade. She earned her B.A. in Interdisciplinary Reading and Interdisciplinary Art from St. Mary's University. She earned a M.Ed. in Reading and ESL along with an Advanced Degree in ESL from Dallas Baptist University. Her certifications include Generalist (EC-4), ESL Supplemental (EC-12), Master Reading Teacher (EC-12) and Reading Specialist (EC-12) She is also a Certified Academic Language Therapist and a Licensed Dyslexia Therapist. Lizzie Bumpas joined PHPS in 2017 as a teaching assistant. She taught K-8th grade Art at Christ the King Catholic School for two years before moving to PHPS. She received her BA in advertising and a minor in Art from Southern Methodist University in 2011. She then returned to SMU and graduated with her Master’s in Education with Certification in 2014. We are proud to claim Lizzie as one of our alums. Kay Burns has been a part of PHPS since 1980. As the Operations Manager, she oversees general school operations and serves as an assistant to the Director and as the initial contact for the Admissions process. She attended North Texas State University.